If you're looking for a list of Bazzill cardstock that matches BasicGrey patterned papers, you're not alone. Since Bazzill and BasicGrey are two of the top product manufacturers in the scrapbooking industry, it's not surprising that crafters are searching for an easy way to incorporate these supplies into their layouts. For many people, the hardest part of making a scrapbooking layout is choosing coordinating patterned papers and cardstock colors. The problem becomes more pronounced for scrapbookers who must order their supplies online, since computer monitors can often display colors slightly differently than they appear in real life. To help you make smart ordering decisions, you may wish to keep a list of Bazzill cardstock that matches BasicGrey papers near your scrapbook area. 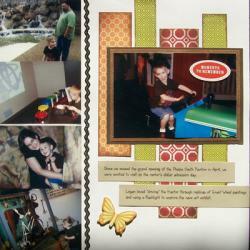 Just keep in mind that there are no "right" answers in scrapbooking. Different people often have different opinions about what color schemes are best for a particular project. If you don't like how a suggested pairing looks, feel free to make your own adjustments. Sometimes, making one color a shade lighter or darker is all it takes to turn an average layout into something extraordinary. Although this list is by no means exhaustive, the following color combinations should give you a few good ideas for creating your next scrapbook project. 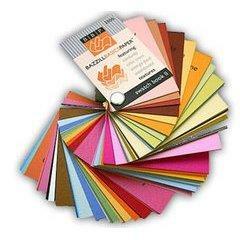 To find cardstock and patterned paper picks for the newest BasicGrey releases, visit the Bazzill Matchmaker Web site. This handy online tool lets you compare each pattern in the newest BasicGrey lines to several suggested cardstock pairings. Do you have your own list of Bazzill cardstock that matches BasicGrey? Feel free to leave a comment below this article to share your top color picks!